Fall is upon us in Australia. At Sydney region, many are attracted to the seasonal beauty of Mount Wilson. In fact, this past week, there was an influx of Mount Wilson photos in the group. The photos are beautiful. The colours of autumn never seizes to amaze anyone. But Mount Wilson's location is a bit secluded. It's at the northern part of the mountains. 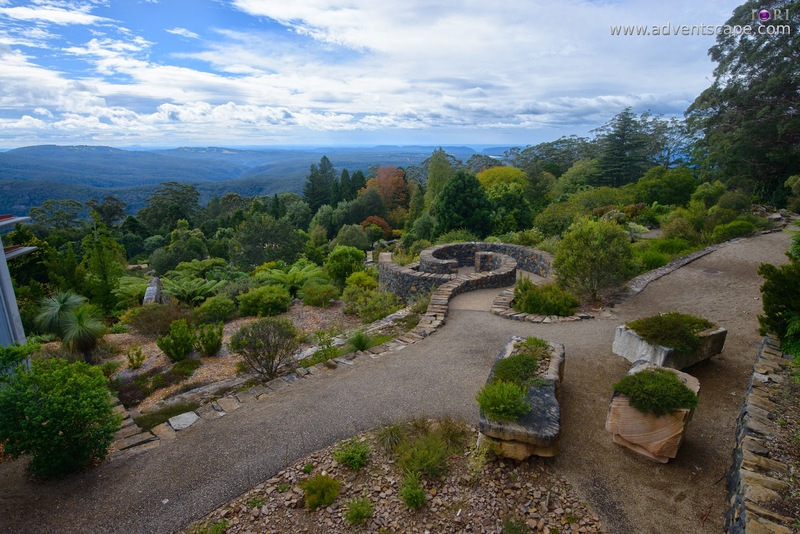 It's at the Blue Mountains, it's far from the city and away from populous residential areas. In our area, Mount Wilson is 2 hours drive one way! Since it's far, it's best to maximise the trip. A few friends got witty and add Bilpin's Apple Picking in the agenda. I like fruit picking. But I'm not a fan of apple. If it's orange or cherry, I might go. Actually, there is another attraction closer to Mount Wilson that is FREE to visit. 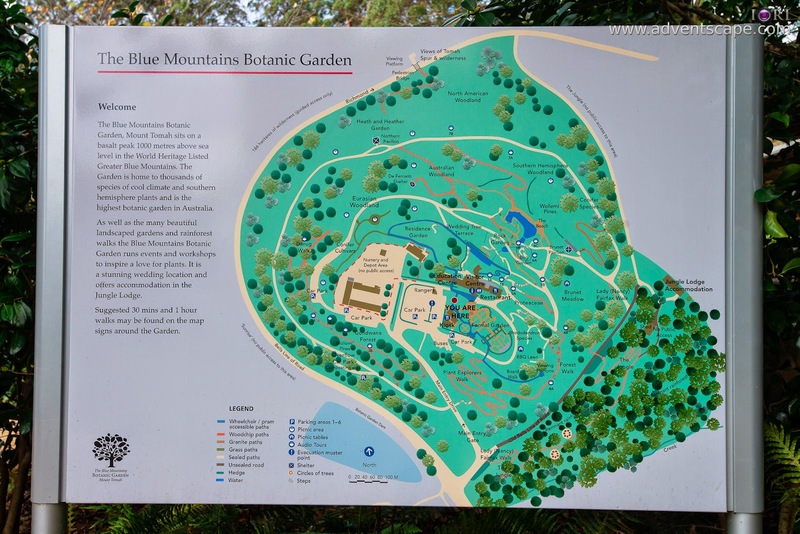 Did anyone went to Blue Mountains Botanical Gardens at Mount Tomah ? 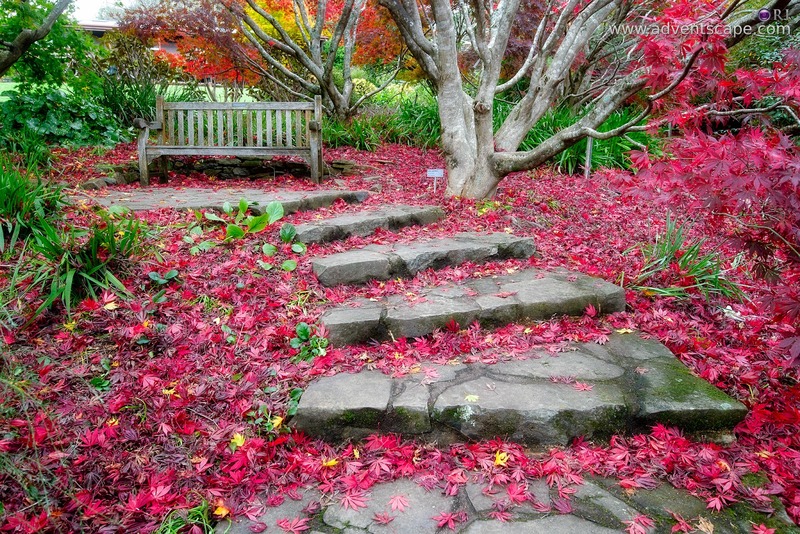 Blue Mountains Botanical Gardens at Mount Tomah is located at the northern part of Blue Mountains. Depending on your location, it may take you 1 to 2 hours of driving. But during fall, if you're visiting Mount Wilson, it's best to have a stopover here. If you're going to Mount Wilson, I suggest you wake up early and BE THERE just as the sun rises. Mount Wilson is a crowded place during fall and you don't want the crowd be on your photos. I want to have a clean picture of the road without any distractions like cars and fellow tourist. Getting there early ensures this. 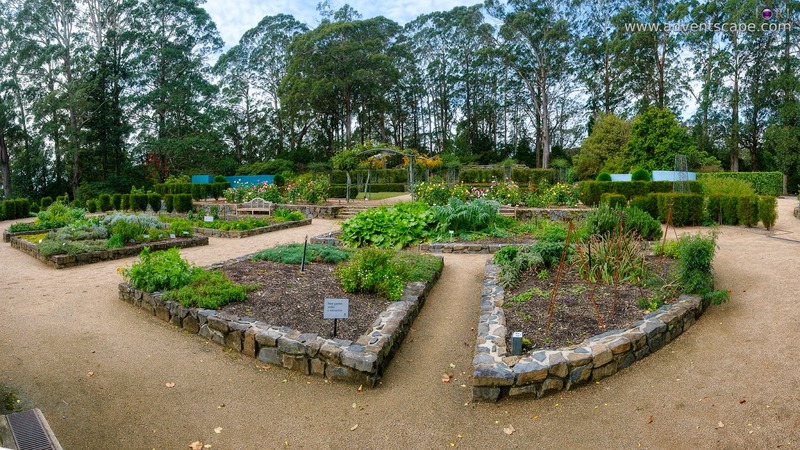 If you add Blue Mountains Botanical Gardens at Mount Tomah in your itinerary, then go to Mount Wilson first then Mount Tomah. Anyway, they're close to each other. As Mount Wilson is more popular, they'll have heaps of crowd coming whereas the Botanical Garden will have less - which is good as well. Since the garden is several meters above ground, expect cooler temperature. Don’t just come there with thin clothing. At least have some fleece or jacket to combat the cold. Visiting during autumn (especially winter) will have you prepare warm clothes. Since it’s on a mountain, wind should be kept in mind. I suggest to bring wind resistant jackets for both warm & anti-wind. Wear comfortable shoes as well. Not all roads are cemented. It would be hard to wear high heels, I think. Since there’s a picnic area, it doesn’t hurt to bring in food. You can also bring coffee if you have hot water. But there is also a coffee shop nearby. 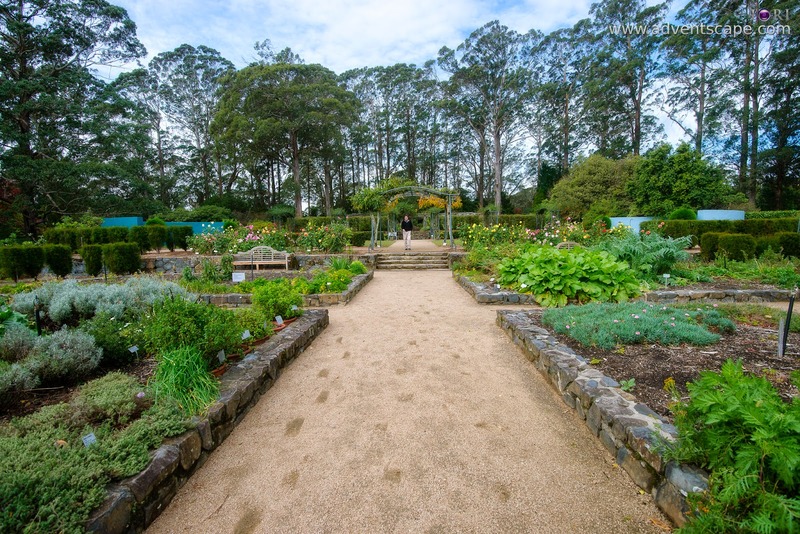 This was my first time visiting Mount Tomah Botanical Gardens. I kept on hearing this from friends but didn’t paid attention. At the back of my mind, I don't see the point in going to a Botanical Gardens this far. Sydney has a Royal Botanical Garden, adjacent to the Opera House, so I think that's a better place to visit. I don’t see any other location close enough to go to. Bilpin, which is famous for its Apple Picking activity, is also seasonal. Thus, it didn’t register to me going to this place. 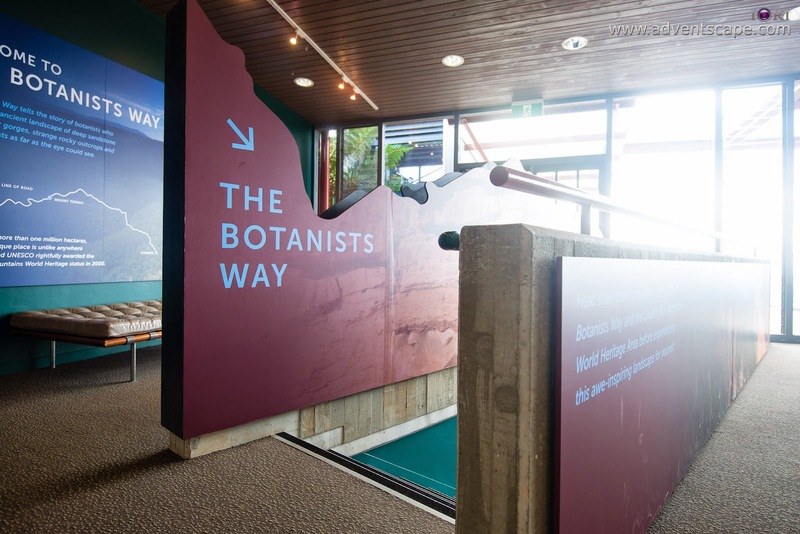 The Information Centre can give you information not only for the Botanical Gardens, but to close tourist destinations as well. It’s where you can find friendly locals to ask for information that are not published on the Internet. It functions like a mini museum as well where you can see some artefacts and trivia. If it’s really cold, you can stay here for awhile for confort. I haven’t gone to it but the adjacent establishment is a coffee shop. They serve light meals and coffee for weary travellers. The best thing about the Info Centre & Coffee shop is that they have a deck which is directly at the side of the Mount Tomah. The parking is huge. But since many people are visiting, it can run out pretty quickly. We arrived at 9:30am. We parked very close. But after we walked the Garden, the parking looks full! Just arrive early and you’ll not have parking issues. The toilet is just at the left side of the Information Centre’s main door. It’s a bit hidden, but there are signboards to let you know where the toilets are. 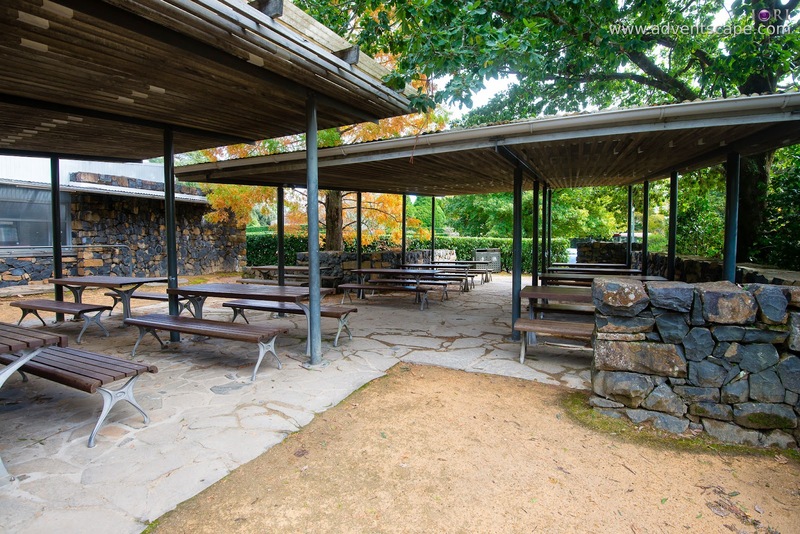 There is also a picnic area adjacent to the parking. You’ll see many benches. There are several entrances to the Botanical Gardens proper. But wherever you enter, just make sure you stop by the Infomration Centre first. 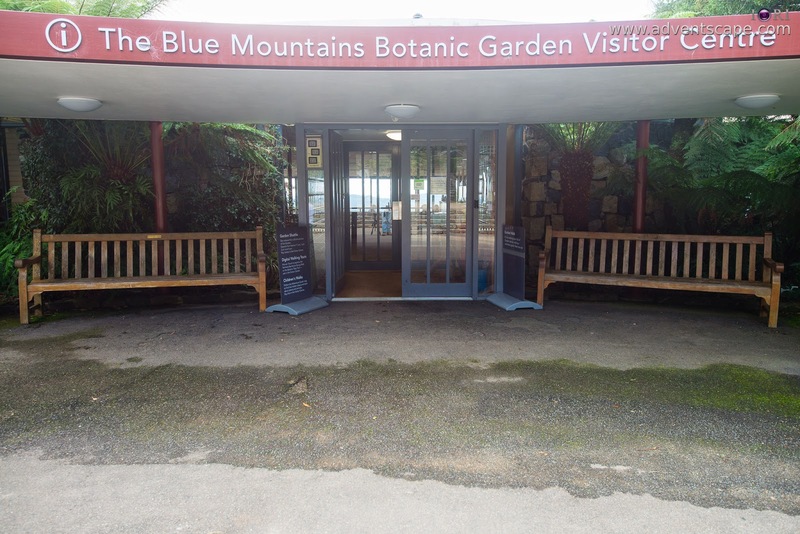 It has a viewing deck so that you can see the gardens on birds eye view and the majestic view of the Blue Mountains. It’s a surreal landscape. Botanical Gardens are several gardens put together either by theme or continent. You could easily get lost on the 28 hectares of land! Entrance and parking is FREE! The Garden is big. So it’s best to know your area. You can easily get lost with your mates away (I did). They have a good suggestion on how to walk around the garden. I didn’t visit their homepage. I thought that it was just a simple garden that we could stroll around. I didn’t thought that it’s this big! So prepare and know your drop points and landmarks. Although not much but I did enjoy my short walk among these gardens. We’re also going to Mount Wilson so we didn’t stayed as much as we like. I was taking photos and video for this blog so I stayed at one garden longer compared to anyone in my group. Watch the video below and get a different perspective. Please watch with Music ON!